The Superstition Mountains in southern Arizona offer beautiful views and are a popular hiking and rock climbing destination. Not far from Phoenix, the mountains can be seen for many miles. The mountains got their name because early settlers heard of the many stories and myths told about them by the Apache and Pima Indians in the area. Later, the legend of the Lost Dutchman Gold Mine captured the imaginations of many. To read more about the Lost Dutchman’s Mine, see Nancy Farrier’s earlier post on this blog: http://www.hhhistory.com/2013/04/www.nancyjfarrier.com.html . On the east side of the Superstions, near the trailhead of the Peralto Canyon trail. The mountains were once known in Spanish as Sierra de la Espuma, mountain range of foam. The most prominent of the range is Superstition Mountain. Other prominent features include Peralta Canyon, Miner’s Needle, Weaver’s Needle, and Flat Iron Peak. Humans have lived in this area for many thousands of years. 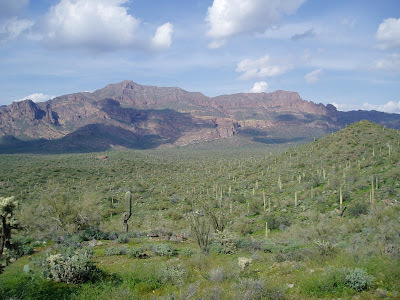 Some Apache believe that a hole leading down into the lower world is located in the Superstition Mountains. Winds blowing from the hole are supposed to be the cause of severe dust storms in the Phoenix metropolitan region. The Pima Indians have a detailed legend about a widespread flood that has similarities to the biblical account of Noah. In this tale, man was created by Cherwit Make, the Great Butterfly, who later became angry because of man’s bad behavior. Suha, a Pima shaman, was warned by the creator, through the voice of the wind, that if people did not change, they would be destroyed by floods. When the people didn’t listen to Suha’s warnings, he and his wife were told to gather spruce gum and make a large, hollow ball. After stocking this structure with water and food, they crawled inside and sealed it. The flood came, destroying the other people. Suha and his wife eventually landed in their gum ball on Superstition Mountain. Their food was nearly gone, and they were glad to find a prickly pear, or tuna cactus right outside when they opened a hole in the ball. They ate its fruit and waited. When the water subsided, they went down into the valley and created a new civilization. This view was much like what stagecoach passengers saw in the 1880s. There is much more to this myth, and you can read about it here. 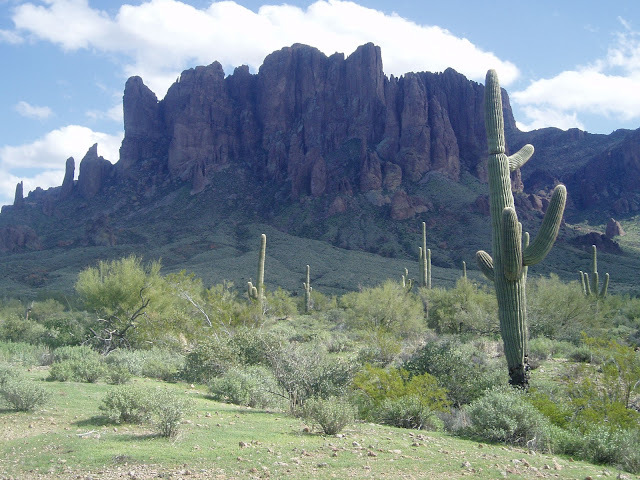 Another Pima tale tells of Hauk, the “Devil of Superstition Mountain,” who stole one of Suha’s daughters. Suha followed and rescued his daughter, but some people believe the evil spirit still lurks behind Supersition Mountain and will not go there. Giveaway: I decided to use the Superstitions as part of the setting for an upcoming book. If you would like to win a copy of my earlier book set in northern Arizona’s Four Corners area, leave a comment below and include your contact information. 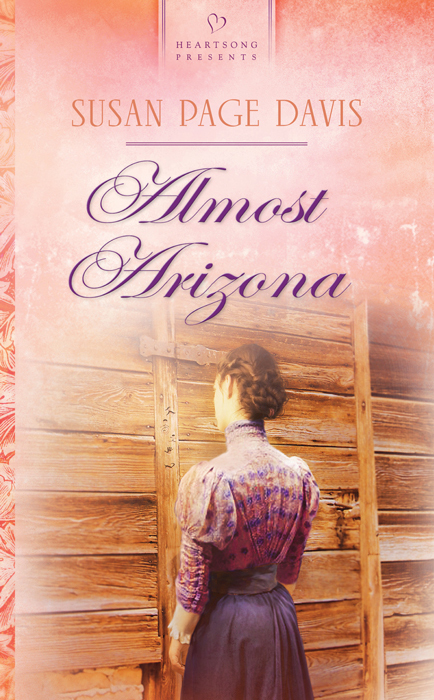 Almost Arizona is a historical romance. In it, you will find a sister’s love and her determination to clear her brother’s name when he is accused of murder. Thanks, Connie! I learn a lot here myself, and I love the variety of posts we see. Love your post, Susan! So very interesting! It is always so enjoyable to visit HHH. Thank you for the opportunity to be a winner. Merry Christmas! Glad you enjoyed it, and hope you have a wonderful Christmas. Susan, I wasn't familiar with Superstition Mountain so I enjoyed this post. I especially liked learning about the Legend of Suha and its correlation to Noah. It was new to me, too, but I am going there soon for research, and I wondered why it was called that! Now we know. Beautiful pictures of Arizona, I would love to visit there sometime. Thank you for the chance to win a copy of this book. You're welcome, Wendy. It is truly gorgeous, and I love visiting there when it is not too hot. Great post love it. kamundsen44ATyahooDOTcom. I have visited southern arizona but not this area will need to next time. Thanks, Kim. Go in winter. Thanks for your interesting post and the giveaway opportunity, Susan!! That's really interesting about the Indians and the ball. It sort of reminds me of the story of Noah and the Ark, so makes you wonder if the story was passed down and eventually changed. I know, Bethany. Several cultures across the world have flood legends. Very interesting! I would love to win this book :) Thanks for the giveaway and Merry Christmas. Thanks, Betti and Dawn. I hope you're having a good holiday with your family! 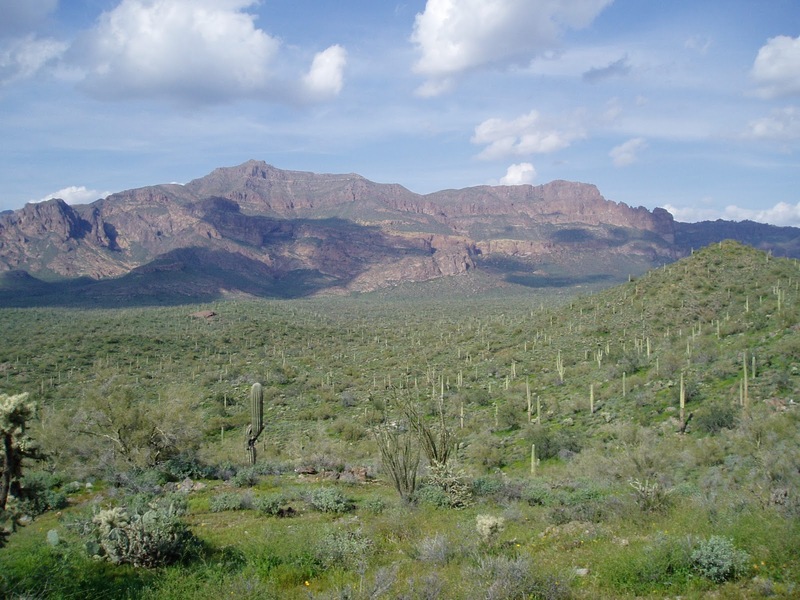 Thanks for sharing about the Superstition Mountains, I learned things I never knew before! I know Arizona also has some rich history as well. Please add my name for a chance at "Almost Arizona". Happy writing on the upcoming book, Susan! We're glad to have you, Trixi. I used to live in Oregon as well--it's my husband's home state! Thank you for the post. It was very interesting. It would make a great setting for a book. And the winner of Almost Arizona is Dawn Morse. Congratulations!